Start with the obvious: Was Daniel Orton, formerly of the Orlando Magic, Oklahoma City Thunder, and Philadelphia 76ers, kicked out of the Philippine Basketball Association for insulting Manny Pacquiao? 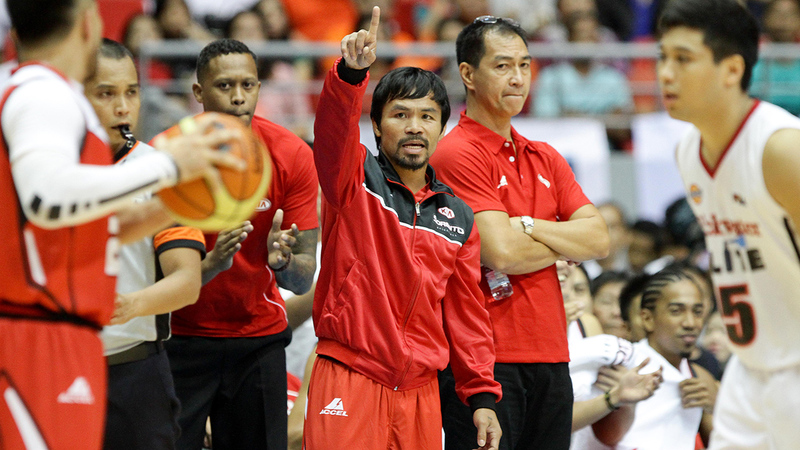 Philippine basketball authorities have sacked and fined an American import for ridiculing national boxing hero Manny Pacquiao’s quest to become a professional basketballer. That bit of ridiculousness was bolstered by a truly outrageous quote from Rene Pardo, team manager of the franchise that released Orton, who said his former employee’s actions were “like he went to the United States and insulted the name of Martin Luther King.” This sounds utterly bonkers, but it’s probably unfair to expect non-Americans to understand King’s legacy. Could you come up with a proper American analogue to José Rizal or Emilio Aguinaldo? All Pardo meant was that King is an American hero, and that Pacquiao is also a hero to tens of millions of Filipinos. Still, that’s one hell of a quote, and from there the story — ex-NBA player exiled from Philippines for dissing Manny Pacquiao — began popping up all over the Internet: SB Nation, New York Daily News, Washington Post. Eventually, Ball Don’t Lie’s Eric Freeman sniffed around and realized that the situation may have been a bit more complicated, and it was. So here’s a quick attempt to break down the various reasons why Daniel Orton is no longer the starting center for the Purefoods Star Hotshots. What did Orton do wrong? 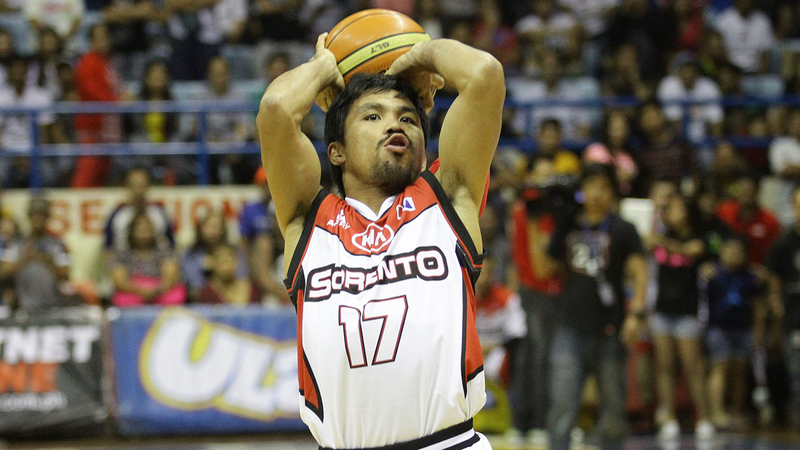 On February 17, Orton’s Purefoods squad lost to Kia Carnival, an expansion team led by Pacquiao. (Here, we should note that because of Pacquiao’s boxing schedule and numerous other obligations, he shows up for Kia games about as rarely as he shows up for Congress. Last week’s game was only the third time he had suited up for Kia, even though the PBA season is about halfway done.) Purefoods is one of the league’s storied franchises, with a roster full of all-stars and led by Tim Cone, who is pretty uncontroversially known as the best coach in PBA history. 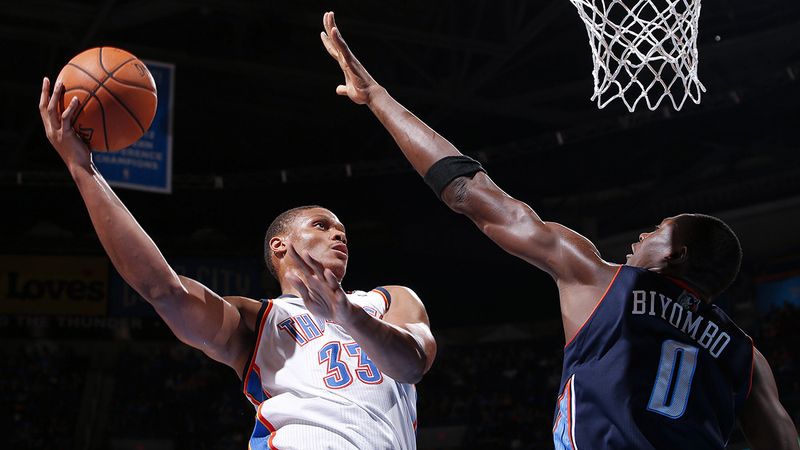 They did not expect to lose to Kia, which had only won two games in its brief franchise history before last Tuesday. This game was seriously a joke. … The way the game was going, the refs, they made it into a mockery, seriously. They took the game that I know and love and made it into a mockery. … I couldn’t be physical at all, they were calling little ticky-tacky fouls. I’m thinking, okay, on the other end maybe I get the same calls but I didn’t. That’s part of the joke I was talking about. Professional boxer, okay. Congressman, alright. Professional basketball player? No. It’s a joke. Seriously, it’s a joke. Orton never played another game in the league. How bad were the refs? In PBA terms, they were nothing spectacular. Everyone who has played or coached in the league has stories about how unpredictable and often inexplicable the officials’ calls can be, especially with regard to imports — the foreign-born, usually American pros brought in to bolster local lineups. As soon as they arrive in Manila, imports are told to expect bad calls, double standards for what constitutes a foul against local players versus against imports, and just general tomfoolery. It’s part of the league, and this game didn’t feel like an outlier. Of Orton’s six fouls, three appeared questionable to me. Ramos was also whistled for five fouls, although it did appear that he was allowed to play very physical inside. While sealing defenders on the block or wading through the paint in search of rebounds, the way Ramos cleared Purefoods players out with one arm, often sending them flailing to the floor, reminded me of King Kong swatting planes out of the air. So while it’s easy to understand Orton’s frustration, it’s hard to sympathize with him. 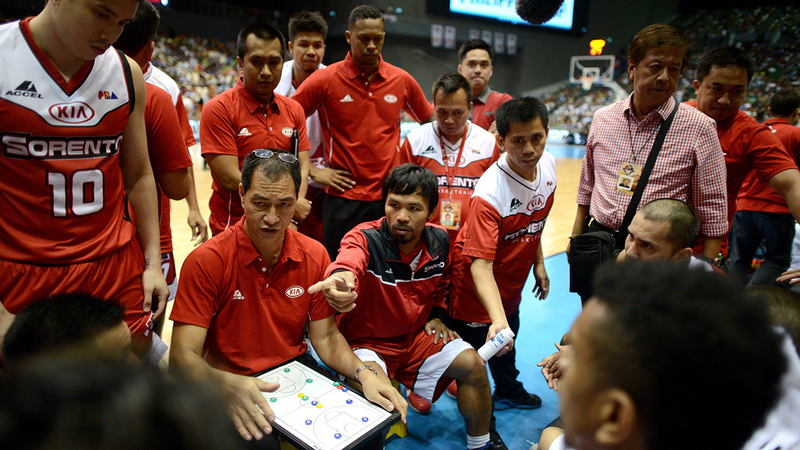 Filipino coaches and players have to live with these refs for their entire careers. If they can hold their tongues after a poorly officiated game, why can’t the guy who gets to leave at the end of the season and who earns nearly twice as much as his highest-paid local teammates do the same? Was Orton’s performance a factor in the decision to replace him? First of all, the headlines this week that said Orton was “kicked out” of the PBA are incorrect. All the league did was fine Orton 250,000 pesos (close to $5,700) for his outburst. If Purefoods wanted to keep him in the lineup, they would be free to do so, but they chose to replace him with Denzel Bowles, who has played for the team in previous seasons and led the franchise to a championship in 2012. PBA imports get replaced all the time. In the current conference, the Commissioner’s Cup,1 half the teams in the league have already swapped imports at least once. The decision to replace a foreign player is usually based on performance. Either the team is losing or the import’s numbers aren’t impressive and another player becomes available, released from duty in China or the D-League. Purefoods was 1-2 with Orton, after starting the conference 3-0 with Marqus Blakely, an undersize import who agreed to hold down the roster spot while Purefoods waited for Orton to finish playing for the Chinese Basketball Association. Orton’s numbers in the PBA were below average for imports, and in his limited playing time against Kia, Orton appeared tentative and unsure of his role in the offense. 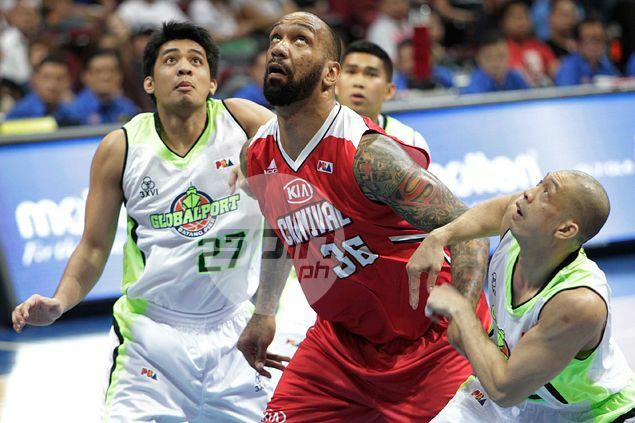 Is it possible that Purefoods just wanted to go with the PBA-proven Bowles? Cone further explained the decision in an email to Grantland. If a Pinoy says that about Manny, there will be an uproar, but eventually everyone will get over it — it’s hard for anyone outside of the Philippines to understand exactly how huge an icon he is here — but if a foreigner says something, it’s a whole new level and for the most part unforgivable. No one likes an “ugly American,” and that was certainly the perception most fans took. I think the important perspective is, we are not a revenue-based league. Everything is tied with marketing, so what the fans feel or think is crucial to the league. If there is an uproar to that magnitude, then management is going to react. You know me, I don’t like to change imports. … But having Denzel in the wings made my agreement a lot easier to give. What does he mean, “We are not a revenue-based league”? This point is crucial. Since the PBA was founded in 1975, teams in the league have been owned by large corporations, many of which sell consumer goods like beer, T-shirts, and hot dogs. Admission to PBA games is cheap, and TV-rights deals don’t approach the astronomical numbers that NBA fans are used to seeing. This means that for PBA franchises, basketball revenue always falls short of basketball expenditures. All the teams lose money. Where owners recoup that value is in the prestige of controlling one of only 12 teams in a nation of 100 million basketball-obsessed Filipinos, as well as in the hours of free advertising for their brands in the form of televised games and print, online, and broadcast media coverage. That’s why PBA teams have traditionally been named after the products their owners sell — even when that leads to a history of gonzo nomenclature in which no one bats an eye over team names like the San Miguel Beermen, the Rain or Shine Elasto Painters, or the Shell Azodrin Bugbusters. It’s not particularly quantifiable, but PBA owners believe that when Juan dela Cruz goes to the store, he’ll choose San Mig Light over Beer na Beer partly because of San Miguel’s positive association with the PBA. In Purefoods’s case, the product currently associated with the team is Star Margarine, and if the team had chosen to stand by Orton after his tirade against the PBA and Pacquiao, then there’s a chance that consumers would buy less Star Margarine and other Purefoods products because those goods come from the same company as the team that pays the American who disrespected the PBA, Manny Pacquiao, and every God-loving Filipino. Would it definitely play out that way? Would Purefoods sales have fallen if the team hadn’t replaced Orton, and would that drop even be traceable to Orton? Who knows? Even if those things happened, there’d be no way to prove it. But from Purefoods’s point of view, it’s not worth the risk to find out. Why risk provoking a consumer backlash when Orton — and almost any other import, for that matter — is easily replaceable? Especially when there’s a player as good as Bowles lined up to take his spot. Does Manny Pacquiao actually care about this? But that doesn’t mean Pacquiao wouldn’t have noticed if Purefoods had chosen to stand by Orton rather than disown him after the controversy. It doesn’t mean that Pacquiao wouldn’t have made note of the organization that allowed its employee to attack his reputation and then did nothing to punish that employee. It’s not that Pacquiao might have exacted some dramatic revenge against Purefoods if the company hadn’t taken the action it did; it’s just that for any big business in the Philippines, it’s wiser to keep relations friendly with the most famous Filipino in the world — a sitting congressman who could rise to higher political positions in the near future, and perhaps the most valuable product endorser in the country. Again, maybe Purefoods never would have suffered any consequences if it hadn’t replaced Orton, but why take the risk? Daniel Orton created almost the perfect conditions for a PBA import to lose his job. His team was losing and he didn’t look great on the court. Potential replacements were on call to take his spot on the Purefoods roster. But his fatal misstep, in this case, was to talk out of turn and to name names. For a variety of cultural reasons, communication in the Philippines is often less direct than it is in the United States. It’s a country where people usually prefer to say “maybe” or “I’ll try” rather than “no.” (This is the oversimplified, tourism-guidebook version of this discussion, but it’ll do for our purposes.) Criticism is rarely delivered as directly or as forcefully as Orton’s rant against the PBA was, and it’s almost impossible to imagine such criticism being accepted coming from the mouth of a foreigner who’d lived in the country for less than a month. When Orton called the PBA a joke, he questioned the integrity of everyone with a stake in the league, from Pacquiao to the commissioner to the ball boys who pass out cups of Gatorade during games to the fans. I’m almost positive Orton didn’t mean his words to be taken so harshly — he came off like a frustrated guy just trying to blow off steam — but that’s how they were received. 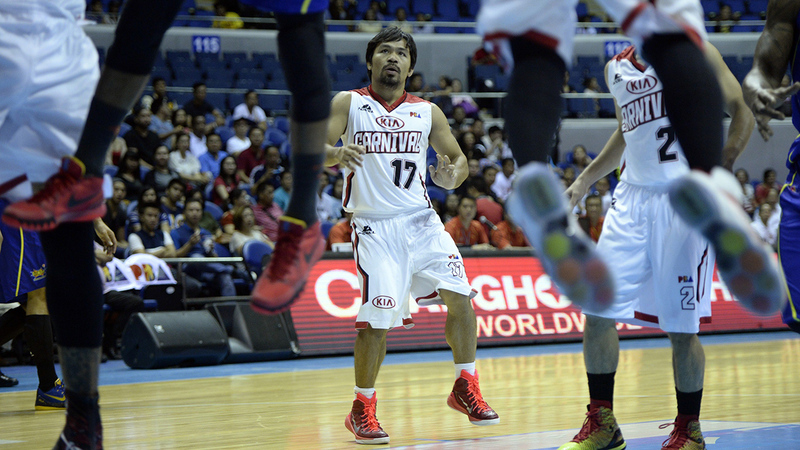 The PBA season is divided into three conferences, each with its own set of playoffs.